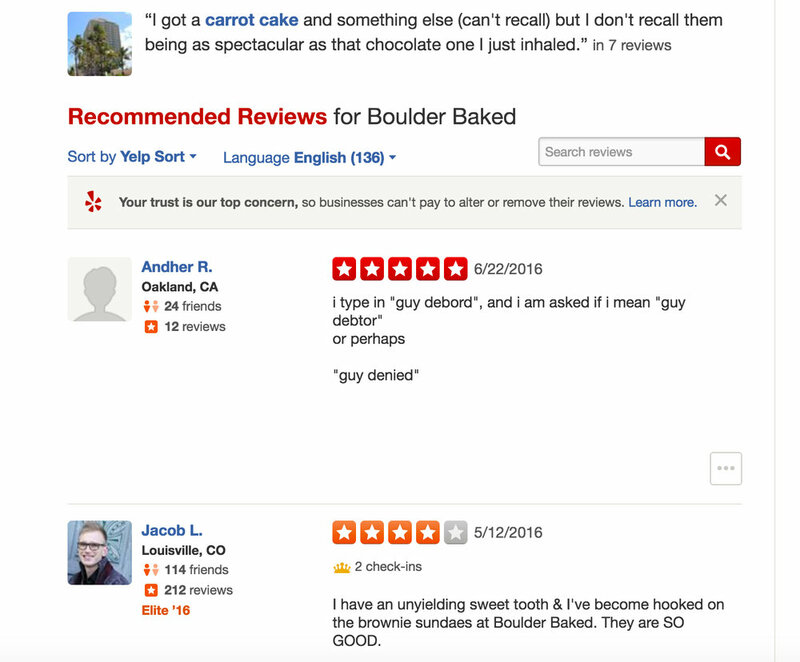 A post-modern derive through Boulder, Colorado's Yelp occurred on June 22, 2016. 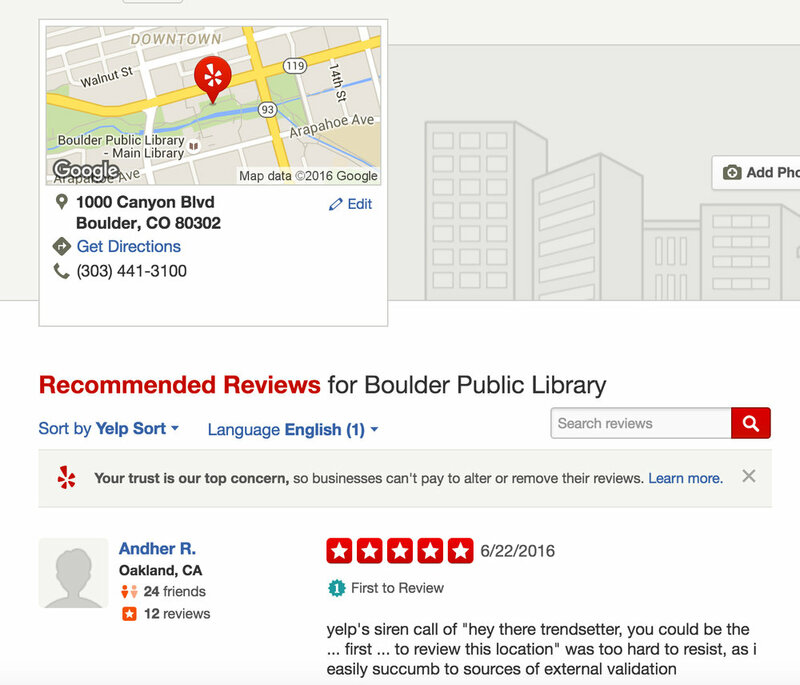 Below is all the documentation that remains, as the account was closed by The Yelp HQ within 26 hours of the account's beginning -- since it contained "irrelevant reviews" that constituted a "violation" of The Yelp's Terms of Service. Within the footage that remains, a bliss-seeking "I" grapples with the subversive potentialities of culture-hacking (as a Situationist practice) while attempting a culture hack (that ultimately gets shut down). Invented conversations with Guy Debord, GUESS! and the tube-floaters on the Boulder Creek ensue.